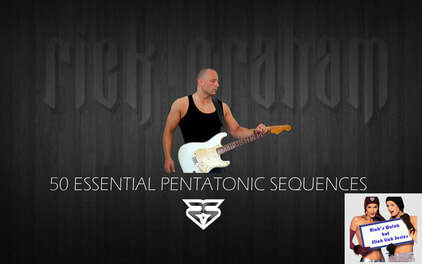 Join me for the first lesson of this new series as I take you through 50 essential pentatonic sequences! In the first of this two part lesson, I take you through 25 of my most used pentatonic sequences that I use in my improvisations time and time again. In the 43 min FULL HD video, I guide you note for note through every sequence with clear and concise explanations of the unique way that I articulate them. The Free Bonus Video is a back to back playalong video of all of the sequences in this lesson. It makes for a fantastic practice tool as you can use it to playalong with in your practice sessions!